As a Social Media Manager I am frequently asked for my tips on successful online networking. Successful social media management is complex and there is no easy route to success however I want to share with you my own golden rule … it’s called the 80/20 approach to social media marketing success. 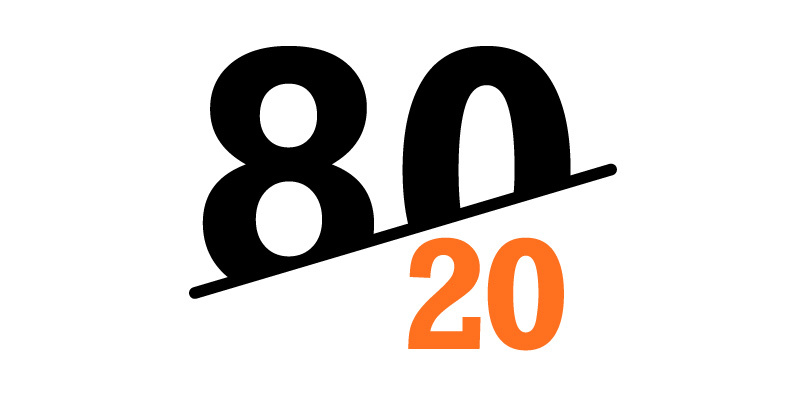 What is the 80/20 approach to social media marketing success? 80/20 means that 80% of my time on social networks is spent interacting, engaging, watching and listening as opposed to promoting and selling. Yes that does mean only 20% promoting! If you are an employer you may not be convinced… surely you want your Social Media Manager to spend all day promoting your company right? Imagine you were at a party and you talked for 80% of the night about yourself, how attractive you are, your best qualities and how well liked you are. If you didn’t listen to others or take cues from body language and conversation trends– how many people would want to see you again? Would you have built a relationship with anyone? Successful social networking is the same and to get the most out of your time online it is important to study trends, listen to your audience, engage them in conversation and understand their needs hence my 80/20 self imposed rule. So for social media success what should you be doing with 80% of your day? In my experience the 80% can be used for valuable learning, information gathering, competitor & customer analysis, customer interaction and brand building. Watch viral videos – even if they are not linked to your specific field of business you should watch some of them and take note. What has made them viral? What do people like about them? How can you use this information to benefit your own business? Similarly see what is trending on Twitter so that you can understand the mood and priorities of your online community. If you can apply a hashtag to your conversations then go for it but remember this doesn’t necessarily mean product promotion. Ask Engaging Questions– How well do you know your audience? Ask them how they like to spend their time, what tools would make their life easier and learn how your brand fits into their needs. Don’t be tempted to instantly promote your brand; make sure you have really listened and understood what your audience is saying before you jump in. Interact & Listen– I frequently chat with my social media audience and whilst it often results in a sales conversion this is rarely the conversation topic. Remember that social media is a place where people go to connect with others, to relax and to have fun so endless promotions will leave you talking to yourself. Don’t be afraid to ask your audience questions that do not relate to your brand such as “What is your World Cup Score Prediction For Tonight’s Game?” The ultimate aim is to win business of course but nobody likes to be sold to and we usually buy from brands we like and respect. Do you use the 80/20 approach to social media marketing success? If not then try it for a week and let me know how it goes.